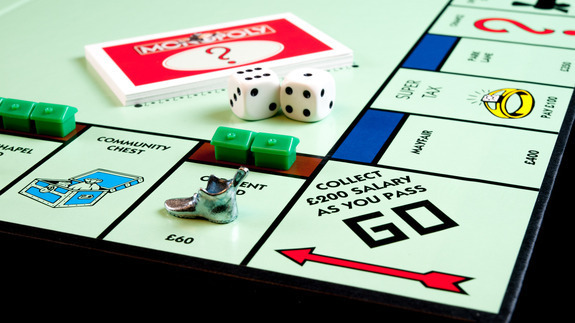 Cardiff Local campaigning to get City on Global Monopoly Board. CARDIFF, WALES (February 16, 2015) – Cardiff resident Laura Schwormstedt kicks-off campaign to put the city on a new MONOPOLY board, encouraging locals to vote for Cardiff in global BuzzFeed vote. In celebration of the MONOPOLY brand’s 80th anniversary, Hasbro has teamed up with social news and entertainment company BuzzFeed to ask fans to choose which great cities around the world will be featured as property spaces in the new MONOPOLY HERE & NOW: World Edition game launching this autumn. Powered by BuzzFeed, the MONOPOLY HERE & NOW property space vote, including a special “Wild Card Week” is now live at www.VoteMONOPOLY.com. Cardiff fans will have until midnight on Wednesday 4th March to vote for the city to be featured in the MONOPOLY HERE & NOW: World Edition game to be sold globally this autumn. Fans can also rally behind Cardiff by sharing the vote on Facebook and Twitter using the hashtag #VoteMONOPOLY as well as engage with fun BuzzFeed content featuring the cities in the vote. The final list of cities that will be featured in the MONOPOLY HERE & NOW games will be announced on March 19, World MONOPOLY Day and the MONOPOLY brand’s official birthday. The MONOPOLY HERE & NOW: World Edition game will be available this autumn and will feature iconic landmark tokens and new gameplay where players race round the board to visit as many locations as possible, collecting passport stamps along the way. Players will collect cash from visitor fees when opponents land on their locations and the first player to fill their passport wins. The MONOPOLY brand is the world’s favorite family game brand and the game has been played by more than one billion people in 114 countries around the world. Whether fans play face-to-face, online or on their mobile or console devices, there is a MONOPOLY experience to fit every lifestyle. Learn more about the MONOPOLY brand at Monopoly.com, join the conversation at Facebook.com/Monopoly, and vote in the MONOPOLY HERE & NOW campaign at VoteMonopoly.com.